might be tempted to paint the picture of a larger-than-life super hero, perhaps a president, a king, or a captain of industry. I might not come up with Roberta Guaspari. Nonetheless I believe she is just that, a great leader. 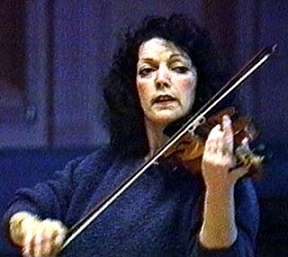 Roberta Guaspari teaches children to play the violin. When she first started, she was a single parent to two young boys. To earn her living she arranged to provide violin lessons in school to the children of East Harlem. What she had going for her was the love of music; the ability to play; and the strong desire to make a difference for children whose opportunities were limited by their circumstances. This is Roberta’s primary purpose, to help children love music, play music and believe in themselves. It is not about money or attention for herself but about something bigger than that, much bigger. She is a great leader because not only can she see a better future for the children she teaches, she helps them get there, even against great odds. In 1991, Roberta’s music program was cut from the school board budget. That meant, not only was she out of a job but the children (and their parents), who so depended on her, would lose something that had become vital to their development and future. Roberta did not back down. Instead, she kept her focus. She forged relationships with people who had the power to help. And they did. She plucked up her courage and made much larger strides than I suspect even she thought herself capable of. Throughout it all, it seems she never lost sight of her primary purpose. Empathy, Vision, Focus, Determination, Courage, …and a violin. This is what makes Roberta Guaspari a great leader. To demonstrate that the kind of leadership I describe can bring great results, here is a clip of Roberta Guaspari presenting her students at Carnegie Hall in a fine performance accompanied by Isaac Stern, Itzhak Perlman and Mark O’Connor. Great leadership Indeed. that’s what I think anyway. What do you think? Note: This is a refreshed version of a post I wrote in 2010. I once had a boss who was a real “my way or the highway” kind of guy. He was a stickler for punctuality and his need for control was so strong that he posted one of his managers at the elevators each morning armed with a clipboard and orders to write down the names of all those unsuspecting stragglers who deigned to arrive past the expected starting time. That is a classic consequence of creating and working in a Command and Control culture. It assumes that the person in charge is the holder of all wisdom, skill and experience; a person who knows exactly what they are doing at all times and the Mecca to which everyone bows. And the rest of us simply do as we are told. In fact, while we are doing as we are told, we are also finding ways to quietly sabotage progress. We waste time grumbling. We call in sick when we are just too fed up to go in. We arrive on time but then do nothing for the first hour. We spend time dreaming up other ways to get around the stringent rules set out for us; and somewhere in all of that, productivity, dignity, a sense of accomplishment, and of purpose, are lost. So no, Command and Control in a business or organizational environment is not a leadership style that serves us any more… at least not in large doses. In times of revolutionary change when the future feels doubtful, this take-charge style is needed, and often appreciated, to help people over the hump of uncertainty. When under tight deadlines or in crises, there often just isn’t time for lengthy debate or consensus building. When the leader has more knowledge around a certain issue and it just makes sense for him or her to make a decision for everyone. When the organization has drifted from its purpose or lost sight of its vision a strong authoritative presence is required to recalibrate organizational focus. So, in short, while we love to hate Command and Control, we would be wise to allow that there are times when authoritative leadership is necessary. The trouble is, if not used well, it can easily morph into something that fails to serve the organization or the greater good. So, like the delicate balance of a perfect stew, the application of control and authority must be carefully measured and administered to render it both useful and palatable. Collaboration is described in the Oxford dictionary as;”working in combination with another”. It sounds so simple doesn’t it? But of course we all know that ‘simple’ does not always equate to ‘easy’. This post, from 2011, takes a look at how we might create a working environment that helps to make collaboration possible…and also productive. One day, I went with my granddaughter to the playground and watched her as she dove happily into play with the other children. I envied her ability to simply become part of the group. It was lovely to see the easy cooperation that danced among them as they shared the various pieces of playground equipment and discussed the merits of this climbing apparatus over that. It was then I began to think about collaboration and what it means. Some people think that collaboration is just like that… playing and working together cooperatively for a common purpose. In the case of the children in the playground that purpose is simply to have fun. But, I think collaboration, while having elements of that, is more. It is a labor of love ~ deeper and more focused . It holds more tension and requires us to listen to each other and communicate on a variety of levels through diverse means. Randy Nelson, Dean of Pixar University made reference to this in a keynote speech he made about collaboration. He describes it as “co-operation on steroids”, an apt description, I think. Collaboration is the act of coming together and working with another, or others, to create something that goes beyond the ability of any one person to produce. They take an interest in others. In fact, they use conversation as a simple yet very effective way to learn about others and the potential they may have for working well together in collaborative efforts. At Pixar, they use improvisation as a tool for opening doors to new ideas and perspectives. Others use a variety of brainstorming techniques. No idea is discounted or censored, just played with until it either becomes something bigger, or fizzles out. Those who know what they’re good at and enjoy, also know how they can make their best contribution to the collaborative effort. They use their curiosity as a tool to explore and discover new possibilities. Often it is the case that someone will offer an opinion or a piece of work and our first instinct is to look for flaws. Those who collaborate productively resist the temptation to do this, choosing to build on what is offered instead through questions and discussion. While we might like to think that effective collaboration does not include disagreement, it does. Those who are skilled collaborators see the value in the tension that disagreement can produce and use it as a bridge to get to something different, or something better. ‘Nice’ is not a word that is often used to describe successful leaders. But, it’s really all about how you look at it. This post, from 2012 attempts to shift the perspective about ‘nice’ from one of weakness to one of strength. I was reminded of this the one day when I caught myself being not nice to a young man who was conducting telephone surveys for an insurance company. Specifically, I allowed my disdain for unsolicited telephone surveys to affect the way I spoke to him. That wasn’t fair. And it definitely wasn’t nice. So I apologized and then did my best to separate my dislike for the survey from my empathy for someone doing an honest and thankless job. It occurred to me then that nice, at least in corporate settings, is often the victim of our contempt and in fact frequently equated with weakness. The perspective is that people who are nice are pushovers. They lack character. They are spineless, maybe even incompetent. 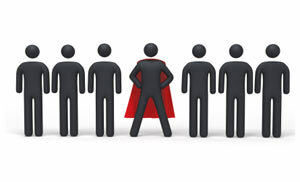 When we ask people to describe a leader, they invariably say things like, strong, decisive, visionary, and courageous. Rarely are they characterized as ‘nice’. Indeed in some organizations we even expect our leaders to bring with them a measure of unpleasantness. It goes with the territory. After all, they are busy people. ‘Nice’ doesn’t get the job done. But to me, ‘Nice’ gets a bad rap. In fact, it has an important role to play in organizational success. It could also use some repositioning in terms of the way we think about it. It would look like Kindness ~ We’ve all heard it. “You catch more flies with honey than you do with vinegar” It’s an old American proverb with an enduring ring of truth. And really, it takes just as much time to be mean as it does to be kind. It would look like Truthfulness ~ Here’s where ‘nice’ grows teeth. Sometimes engaging in difficult conversations and telling people what they need to hear to make better choices is much nicer than avoiding or misleading them. Often, taking the easy way out is very far from being nice. It would look like Respect ~ To me, respect asks us to behave like adults and treat others like adults too. There is no room for condescension or patronizing behaviour in my definition. It’s simply not nice. It would look like Generosity ~ Generosity is often about letting go of something we’d rather keep for ourselves. It is a demonstration of regard and a vote of confidence. It takes strength. And, it’s a nice habit to adopt because generosity can be catching. It would look like Clarity ~ Being clear about what we need and what we expect is part of the package, especially if we intend to use those expectations as a benchmark for performance appraisal at some point. Otherwise, it’s not fair and especially not nice. It would look like Empathy ~ Seeking to understand how things are for others is a primary role of the leader. It’s the way s/he “tunes in” to the work environment and engages people, not only in conversation but also in playing a willing part in fulfilling the organizational purpose. It would look like Civility ~ Good manners are certainly part of being nice. We may think we don’t have time for this. We are too busy. I assert, however, that for workplaces to be ‘livable’ they must include courteousness. People work better together when they treat each other well. It’s as simple as that. The truth about being “nice” is, it really doesn’t matter what you call it. It’s not about the word. It’s about the behaviour that the word suggests. If we choose to look at being nice as a weakness, we will continue to discount its value in the workplace. We will cling to the notion that “nice ‘guys’ finish last” and keep on accepting objectionable behaviour from leaders who believe it. Leadership can be a complicated thing. But there are some simple truths about it that can help us cut through all of the, ahem, BS that so often clings to it. This post, from November 2011, raises just two of them. What would you add? Leadership, while studied widely and deeply, remains misunderstood by a surprisingly large number of people. In this world, there are some who would have us believe that leadership is only for a select few. There are some too, who believe it is the job of leaders to rescue the rest of us from our various predicaments. And, when they fail, these same people feel somehow justified complaining about it. I think leadership is available to all of us. It is a choice we make. It doesn’t always come with a title or a big office but it is there and it asks us to do something with it. Of course, the more we learn about it, the more likely we are to make it a conscious part of our lives. Those among us who remain unconscious and unaware of our own potential to lead would do well to rouse ourselves. The world needs us all to wake up, not simply to point fingers of blame or criticism in someone else’s direction but to stand up for something, take responsibility for something or set a positive example for someone else. Real leadership happens when our role as leader becomes about something other than ourselves. At these times, our individual importance is overshadowed by the purpose we are there to serve. Evidence of it is shown in the quality of our relationships with those around us. Leadership asks that we give others what they need to be at their best. It asks us to guide them, coach them, talk to them, listen to them, encourage them, and expect the best from them. Whatever we do, it must be about that and about a shared purpose. Real leadership is never about any one person. Most of us are just that…average human beings. We do not have to have special powers to lead. Sometimes all it takes is to believe in something enough to be willing to go first. Leadership is about caring. It is about doing and participating. If we expect perfection from it, we will be disappointed. If we spend our time looking to the few for answers, we miss the opportunity to find our own answers and to explore possibilities that can only be found in the brainpower of the many. The bottom line is, leadership is neither heroic nor about any one person. It lives in us all. We show it when we exercise our right to vote. We show it as parents. We show it in our communities when we volunteer. We show it in our workplaces by being there and doing our best, regardless of our title. So when we doubt our ability to make a difference because we don’t see ourselves as leaders, we would be doing ourselves a service by remembering that acts of leadership are choices we make. Be they big or small, all are important.